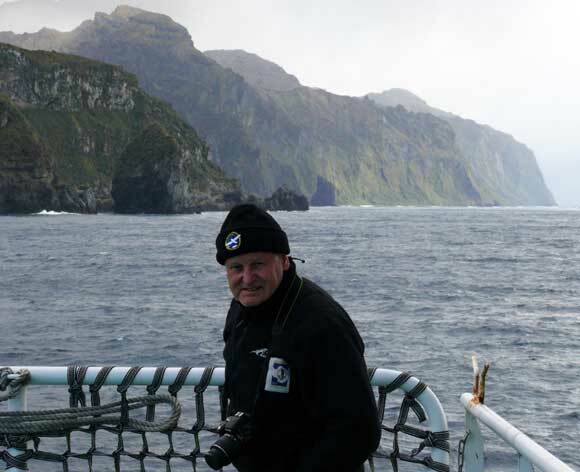 Keith Broome is part of DOC’s Island Eradication Advisory Group (IEAG), which provides expert knowledge to help rid pests on islands both in New Zealand and across the world. 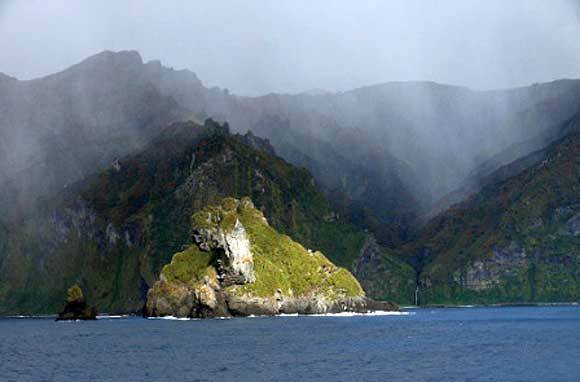 Today, Keith tells us about his trip to Gough Island in the South Atlantic Ocean, to help plan the removal of mice. 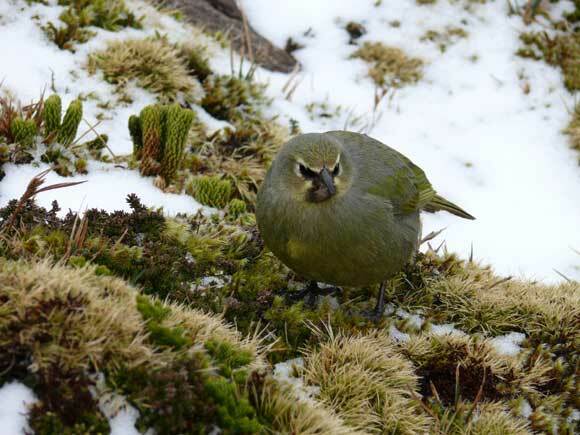 Last September, at the request of the Royal Society for the Protection of Birds (RSPB), I travelled to Cape Town to join a voyage to Gough Island to help develop the project to eradicate mice from the 6500 ha island. DOC has been long involved in the Gough mouse eradication project, following an offer in 2005 by the then Minister of Conservation to support the project with technical advice. Accompanying me on this voyage was Peter Garden, a very experienced helicopter pilot based in Wanaka, who has flown several aerially applied rodent eradication projects in New Zealand and around the world. The brief was to gather some first-hand knowledge of the island and to work with Peter to update the current draft operational plan. 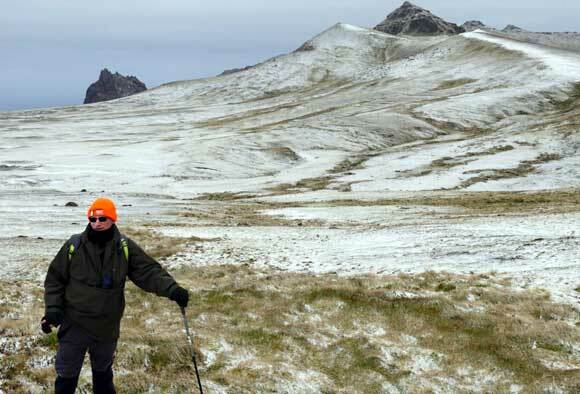 The project has many parallels with our Antipodes mouse eradication project, so the experience was valuable in thinking through the planning issues and eradication design, as well as the logistical issues and options to address them. 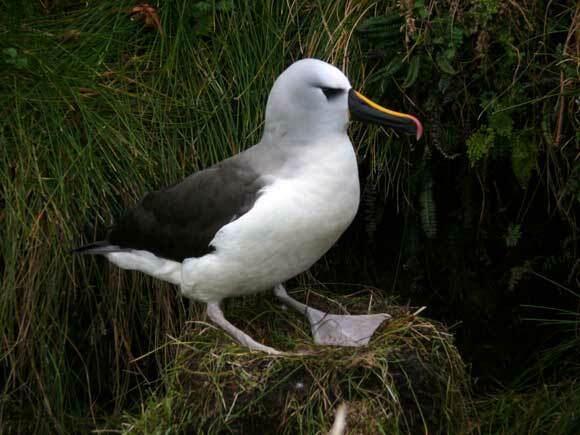 The impacts of mice on the Gough ecosystem is substantial, and their impact on the endemic endangered Tristan albatross is catastrophic, with some study sites losing 9 of every 10 nests to mice. 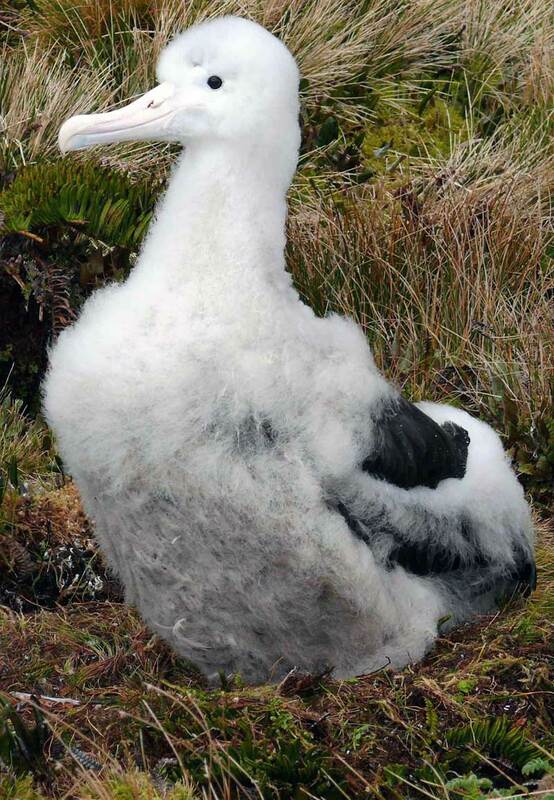 Mouse predation is widespread among other seabird species as well, with records of attacks on yellow-nosed albatross, Sooty albatross and Atlantic petrel. I found that the island biosecurity system operating for Gough was good and I picked up a few tips. For example, they use sticky traps with ultraviolet lights to attract flying insects. These are throughout the cargo store and on board the ship that sails to the island. The ship also has a policy of no food consumed outside the dining and lounge areas. Spending time with Peter was extremely helpful in learning more about how helicopters operate in eradication operations and how pilots view various issues. Seeing the aerial weather station resupply really brought home to me the incredible skill and efficiency with which Kiwi pilots work and how so much of this comes from our unique situation of having a large agricultural aviation industry, which supports the sort of flying skills we need in DOC work. On the whole, it was a great experience and great project to contribute to. I made a number of new contacts and grew my knowledge of island management and pest eradication. The cost of this trip was funded by RSPB in the UK, apart from some of the time I volunteered on the weekends. Mice are an issue for NZ too like Antipodes, so sharing what we know helps us better understand our own problems and work out solutions together. For example the small bait trial we did on the cliffs on Gough is directly relevant to our planning for Antipodes. Sounds good, but being underfunded would DOC just be much better just sorting out NZ problems first then sell your expertise?